Metso experts discuss how new grinding equipment and technologies can impact the mining industry. We sat down with a panel of experts, Alan Boylston, Suzy Lynch-Watson, Håkan Ståhlbröst and André Vien, to discuss some of the trends and challenges facing the mining producers of today. The goal: to find out how new grinding equipment and technologies can impact the industry. Q: What are the main challenges facing mining producers today? AB: One main challenge we see for our mining clients in today's markets is how to balance the increased production needed to meet a rising demands for metals, with the fact that ore grades around the world continue to fall. What this means is that to even maintain current levels of production, mines need to process more and more raw ore, which requires additional energy as they ramp up production. It also translates in many cases to higher investments in equipment and higher operating costs. In order to be profitable, mines have to really zero in on ways to improve operational efficiency. Q: What trends are you seeing in the industry to address these challenges? AB: The big trends are related to looking at the many options that can help to lower energy costs as production demands increase. It becomes important to look at improvement opportunities across the entire process to find ways to drive down costs. On the equipment side, there is more openness to looking at new applications for older technology. For example, High Pressure Grinding Rolls (HPGR) have been around a long time in limestone, cement and kimberlite operations, but applications involving hard ores are relatively new. With their higher energy efficiency, HPGR's are getting a second look as an alternative to more traditional grinding in certain applications. The Metso HRC™3000, launched in 2015, represents a significant technological leap for the mining industry with its simple yet robust design that maximizes energy efficiency, availability and reliability. Process improvement is also what we are hearing more and more about from our customers. Mines are looking at things like improving blasting practices at the mine face to reduce feed size to the primary crushers as well as optimizing mill liners for longer service life and energy savings. We are also seeing the trend towards digitalization with many mines using advanced process controls to make their operations more efficient and to reduce energy consumption. All these approaches are focused on improving operational efficiency and making better use of energy to drive down costs. HS: I would also add that there is a trend to replace small and medium-sized mills by fewer but significantly larger mills to handle the high capacities required. Large mills require fast and safe maintenance, something we will continue to improve. However, large mills also require large amounts of energy to operate, so I believe that the focus on efficiency will increase. Energy is expensive and in many areas becoming more so with time. 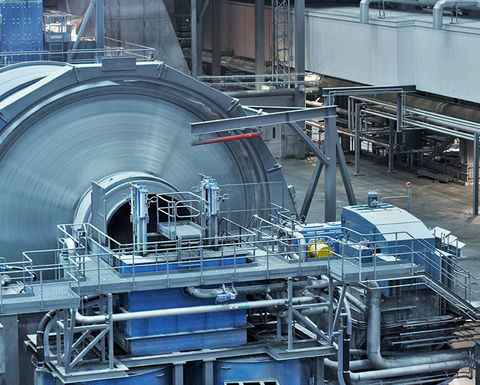 Q: What technical improvements has Metso launched in terms of grinding technology? HS: Traditional horizontal mills are generally not particularly energy efficient. Only a very small part of the energy is transformed into efficient grinding, with the remaining energy channeled into liner and media wear, heat and noise. In terms of technology, there is not much that can be done with the mill itself except for the engine and drive, but it is often possible to control the process better. As an example, mills with variable speed controls allow you to run the mill as fast as needed and in combination with a control system that automatically adjusts speed and feed based on parameters such as mill weight and noise within the mill. You can ensure that the mill is always running in the most efficient manner which helps to decrease energy consumption. New and faster simulation tools also allow us to ensure that the mill feed contributes to increased grinding efficiency. Previously simulations took a long time, but now we simulate almost all designs for larger mills. If the grinding is as efficient as possible, you consume less energy per ton. 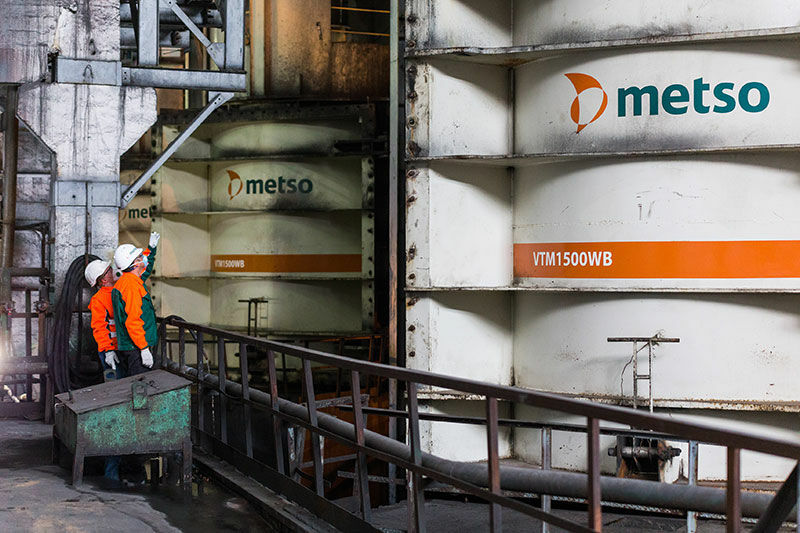 SLW: Metso is always looking to make improvements that will impact the grinding process and help clients meet their goals of increasing equipment availability and lowering operating costs. One recent advance in mill lining that has received a lot of attention is the Metso MegalinerTM made from polymet and steel. The liners can use less material than previously since we use a ‘skip row' design, where the liners now have only two-thirds of the number of lifters as before. Using this design, we can still achieve the same lift and charge trajectory but with less liner weight. The lower weight can make it possible to load more in the mill and together with an optimized design, you can produce more tons and in some cases, increase efficiency. SLW: Looking beyond products, we have also made technical improvements by combining our many services offers to find solutions that help clients achieve lower energy and higher production levels. This involves looking at our products and using our process, instrumentation and controls expertise to come up with the best combination of services to meet the clients' objectives. For example, when our team is asked to assess why a particular grinding circuit is underperforming, we try to take a more holistic view. Questions such as ‘are the drill and blast practices optimized' and ‘is there a large variance in the characteristics of the ore coming into the plant' are also important. Of course, the grinding mill itself needs to be assessed but the process steps before and after the mill all play a part in driving the overall performance of the circuit. Q: Do you see any trends in the way equipment is designed and used, especially as throughput tonnages continue to increase? SLW: One thing that we have seen is plants looking at different options in terms of equipment selection to keep energy costs in check as production demands continue to increase. For example, we are seeing interest in Metso Vertimill® stirred milling technology, particularly in cases where a plant needs extra milling capacity or wants to achieve a finer grind. 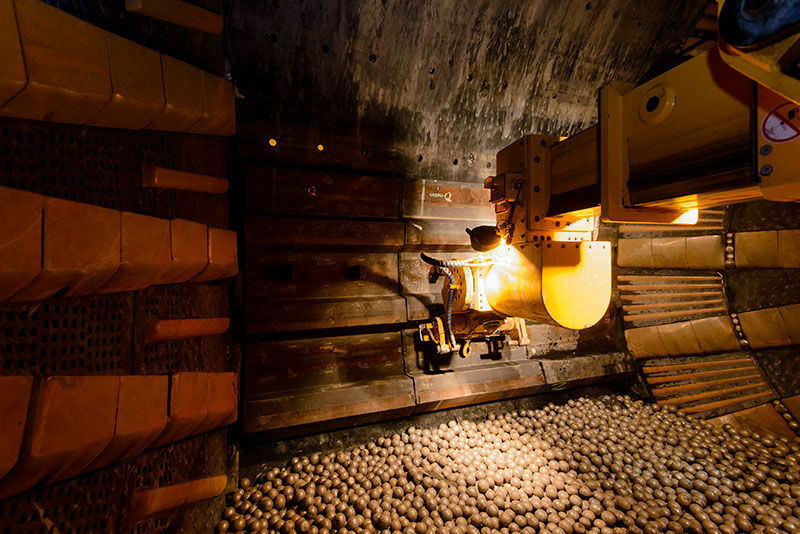 In the past, plants would invest in a second ball mill to run in parallel with their current one to add the additional capacity, but this is not always an energy efficienty way of tackling the problem. Recent research by Malcolm Powell & Sam Palandiandy at the JKMRC showed that using a tertiary vertimill to increase circuit capacity can be 25% more energy efficient compared with adding extra ball milling capacity in a secondary grinding service. The conclusion was that looking at the performance of a single mill or piece of equipment is not always the right approach. You really need to look at how all the different pieces of equipment in the circuit work together to find the most energy efficient combination. It comes down to finding the right approach to the right application. Q: What does Metso see in its field operations as poor grinding practices and how this can be overcome? AV: One key thing to remember is that even with the most modern and up-to-date equipment, performance in the field is still dependent on how the equipment is operated. Our global Process Optimization group has visited hundreds of concentrator plants, looking at the comminution circuits, assessing how things are set up and looking for improvements in terms of energy efficiency or throughput. Most of the process bottlenecks we run into are not caused by the machines themselves but rather have resulted from the way the comminution equipment has been configured or is operated. The four most common issues encountered revolve around the grinding media used in the mill, how the mill speed and liner angles are paired, relying too heavily on rules of thumb related to production, and finally a lack of communication between the mine and the plant. Q: Can you walk us through a few examples? AV: Well, looking at grinding media we run into situations where the media is too large for the expected grind. The result ends up being high wear rates to both the liners and the media and a very inefficient use of energy. You can also run into poor quality media that splits or else wears in a way that results in disk shaped media that does not roll as it should within the mill. This media consumes mill volume and power but the grinding is very inefficient due to the motion of the charge. All of these factors add up to inefficient use of energy. The solution to this would be to conduct ongoing calculations to ensure the optimal size of grinding media is used and to keep a close eye on media quality. 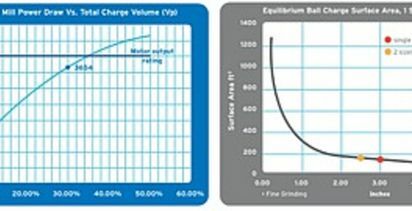 In terms of incorrectly paired mill speeds with the liner angles, what you often have is media that becomes overthrown causing damage to the liners and to the media itself. The way to monitor for problems would be to try to get a better picture of exactly what is happening inside the mill. This can be done in several ways. 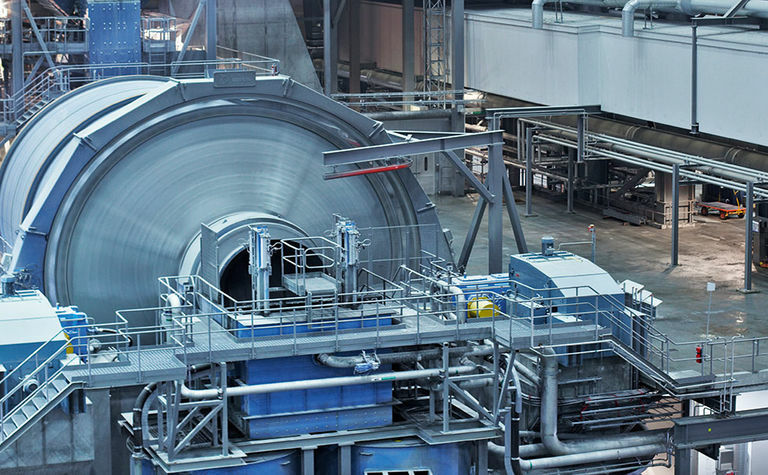 One method would be to monitor the noise levels within the grinding mill using Acoustic technology such as Metso SmartEarTM OCS which measures steel on steel impacts within the mill. By measuring the noise levels within the mill, you can adjust the mill speed to compensate and bring things back in line, resulting in more efficient grinding and energy usage. We also run into situations where a plant is relying too heavily on rules of thumb or general assumptions without going one step further. For example, we often think of increased power draw being tied to greater throughput. But what if the problem is not with the mills tumbling speed but there is a slurry pooling problem? In this case it is not a question of an issue with tumbling efficiency but rather with pumping efficiency. To correct this, converting a radial discharge to a curved discharge could be a solution, increasing throughput in the mill for the same energy due to the higher discharge capacity of the pulp discharge system. Finally, a lack of communication between the mine and the plant can be classified as a poor grinding practice. 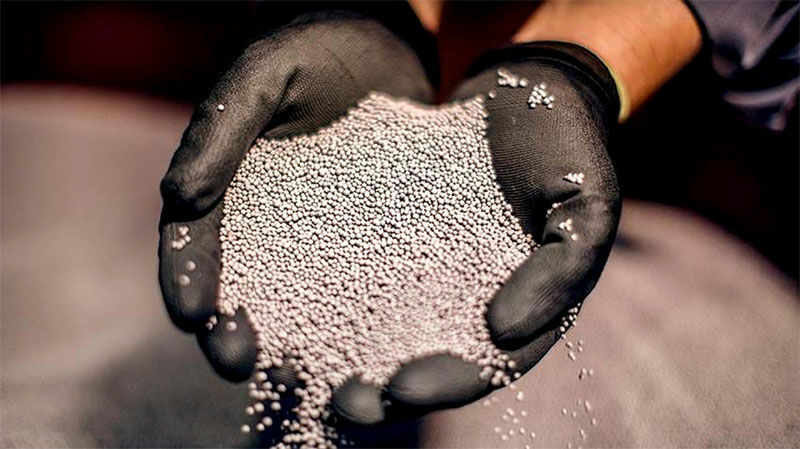 A plant needs to have good visibility on incoming feed materials, in particular the ratio between coarse and fine run of mine ore which can vary significantly. Without good visibility, the plant may not be able to react quickly enough to adjust its operating parameters and therefore lose efficiency and overall performance. HS: Sometimes it all comes down to not looking at the whole process. Many companies are just trying to accomplish one thing at a time, lowering the price or increasing equipment longevity instead of considering how to improve the efficiency of its entire grinding process and reduce the cost per processed ton. It's all about helping the customer to increase efficiency based on the conditions that exist. In some cases, investments may be required, such as a new liner handler, to maximize liner size/weight and reduce maintenance time. Changes in the process or equipment to solve problems or achieve set objectives may be required. There really is no one size fits all solution and as a team we work on finding the right mix of equipment and services to help our clients meet their business goals. Over the years, our clients have come to expect results and that is what we try to deliver. ME Elecmetal has added new features to its Grinding Apps tool for grinding mill operators.